Values are different in northwestern North Carolina. Our world-class network and latest devices come with friendly service and prices you can only get around here. It only makes sense that your wireless carrier should cover the place you call home. And the places your family and friends call home. And anywhere you might want to visit. At Carolina West Wireless, you get all this coverage at a price that makes sense, too. Enjoy the latest technology with FLEX. FLEX makes it easy to get the device you want with interest free monthly payments. Plus, additional program benefits will save you money by avoiding fees while providing device access charge savings. And, it’s never been easier to upgrade sooner and at a lower cost. We believe in supporting our local communities because we are part of it. 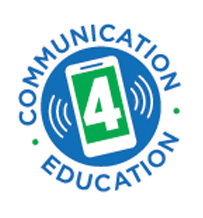 Our Communication 4 Education program benefits local schools at no cost to our customers. Supporting other numerous charitable organizations and events through donations and sponsorships is our way of giving back to the communities that we also call home. We appreciate our customers and are happy to reward them for their loyalty. Our new Loyalty Upgrade Program is one way to prove it. This program is just another way to save our customers money. With our Refer A Friend+ program, you can build your personal network on ours! Earn a $25 reward for each successful referral plus ongoing monthly credits. It’s a great way to save on your wireless bill while sharing the savings with friends and family.